Apple as early as this month will begin to fill out its 2009 Mac product line with a new family of iMacs sporting classier enclosures and a few added bells and whistles, AppleInsider has learned. The new all-in-one, dual-core desktops were finalized earlier in September and have been rolling off the Mac maker's Taiwanese product lines for roughly two weeks, according to two people familiar with the matter. In addition to more affordable pricing, the systems are expected to come clad in a thinner industrial design, one of those people added. Though details are admittedly limited, it's likely these new enclosures will also take design cues from the Cupertino-based company's relatively new LED-lit Cinema Display offerings. 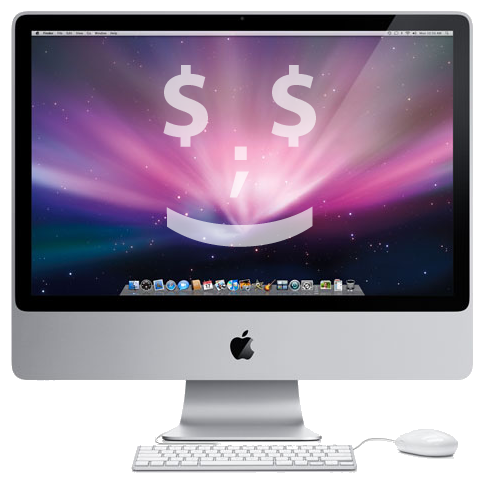 Aesthetic revisions aside, the late 2009 iMac line should also debut several features previously unavailable to Mac buyers. People familiar with Apple's thinking have suggested in recent months one of these moves could see the company finally embrace Blu-ray —a technology once derided by Chief Executive Steve Jobs as a "bag of hurt" from a licensing perspective. With the costs of such drives remaining relatively high, it's reasonable to presume such capability would fetch an added premium on most models. Meanwhile, a pair of other associated enhancements —one believed to be related to audio —should see this new generation of iMacs become the most versatile ever, according to another group of people who declined to elaborate because they were not authorized to discuss matter in detail. For its part, AppleInsider believes Apple is primed to extend the capabilities of at least one technology introduced on the Mac platform as recently as last fall. To make way for these new models, Apple's corporate and educational sales teams this month have reportedly been offering their volume customers instant discounts of $100 to $200 on existing models. Anxious to clear inventories, representatives have allegedly stressed to buyers that these offers would be valid for just one week. While it remains precisely unclear when Apple plans to take the wraps off its new iMac line, it's been suggested to AppleInsider that an announcement could come anytime between next week and mid-October. Put simply, it's up to marketing to press the "Go" button.